Sylvester Turner is one of the candidates participating in our mayoral debate Sept. 10. HOUSTON (KTRK) -- The candidates for Houston mayor take center stage Thursday during their first televised debate. You will be able to watch it on abc13.com at 6pm and ABC-13 at 10:35pm. One of the candidates participating is Sylvester Turner. "If you make it into office , what do you think are some of the most pressing issues?" we asked him. "The top three that need to be addressed immediately." "The first is going to be the financial management of the city. The first thing that the new mayor is going to have to do is come forward with a balanced budget in June of 2016," he said. "So that is priority number one. The second will be working on the infrastructure. It's a growing city, but the infrastructure is lagging behind, so you have to address that. The third, I would say, is public safety." As for tackling the city's pothole problem? Turner wants to create around-the-clock repairs. "Working with your community colleges, Lone Star, San Jacinto, Houston Community College , creating a workforce development program on transportation construction, road maintenance and then partnering those individuals and others with the private sector and putting together a 24-hour road maintenance repair program," he said. Turner also advocates putting more officers on the street and he says one way is to tweak the city of Houston's revenue cap, which limits the growth in city revenues to the combined rate of inflation and population growth. "I recommend amending the revenue cap for two purposes and two purposes only," he said. "Either for public safety to bring on more police officers, to make the city safer or secondly, to pay down on the city's debt." 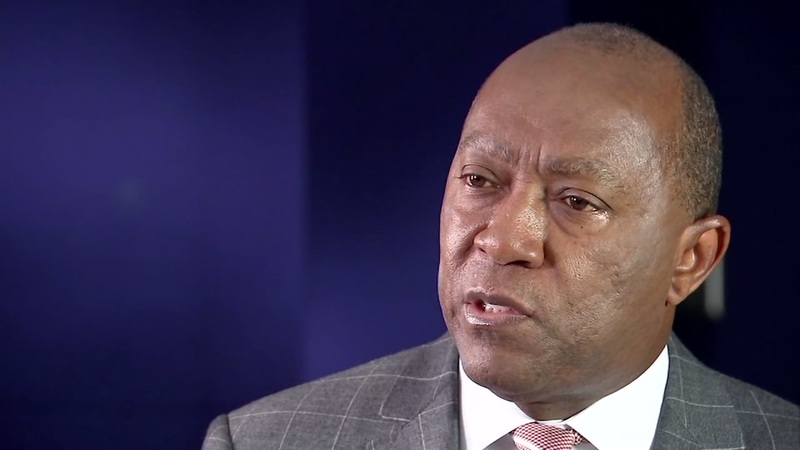 You can watch the full Sylvester Turner interview online below. We will profile the mayoral candidates leading up to the first televised mayoral debate. ABC-13 is co-hosting the debate with Univision on September 10. We will live stream the debate on our website at 6pm that evening and broadcast it on ABC-13 at 10:35pm that same night. If you have a specific question for a candidate, send us a video of you asking the question and we may use it during the debate. Simply mail it to news@abc13.com.